Does your basement have an odor that’s keeping you from going downstairs? As much as you’d like to believe “that’s just how basements smell,” it’s not true. That musty smell is a strong indicator that your basement is being invaded by moisture, leaving mold and mildew in its wake. The first step was identifying the issue – so how do you get rid of musty smells in your basement? Read on to find out! The longer you wait to attack a musty basement smell, the harder it will be. Hunt through your entire basement until you locate the cause. There are plenty of places where it might be hiding – behind walls, along your tiling, or in a crawl space. Leave no box unturned and you’ll eventually find the mold or mildew, that could be growing on your floors, walls or anything stored nearby. How you clean the mold or mildew will depend on the surface where you found it. 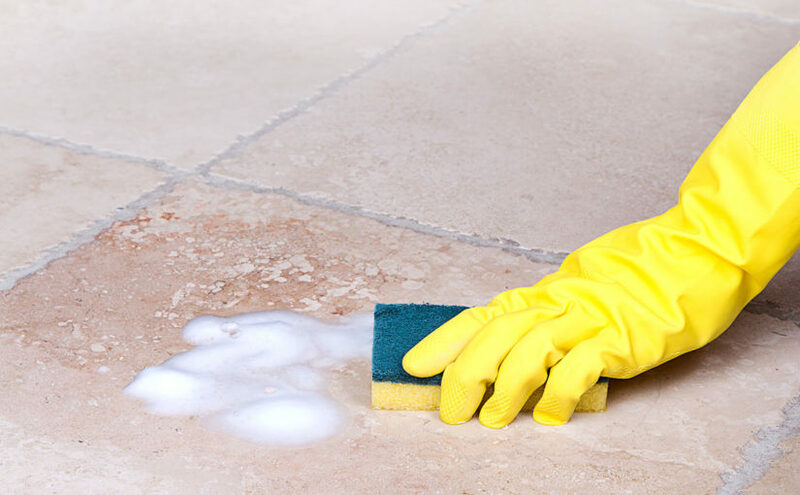 Some cleaners are better than others – you don’t want to damage your paint or floors while cleaning the mold away. You can typically use a bleach-water combination to wipe away mold and its remnants. Finish off by rinsing the bleach away with water, and thoroughly drying the area. When you find mold, it’s more than just an eyesore. It’s a health risk for you and your family. Your first instinct may be to clean it, but it’s important to know the proper way to handle it. 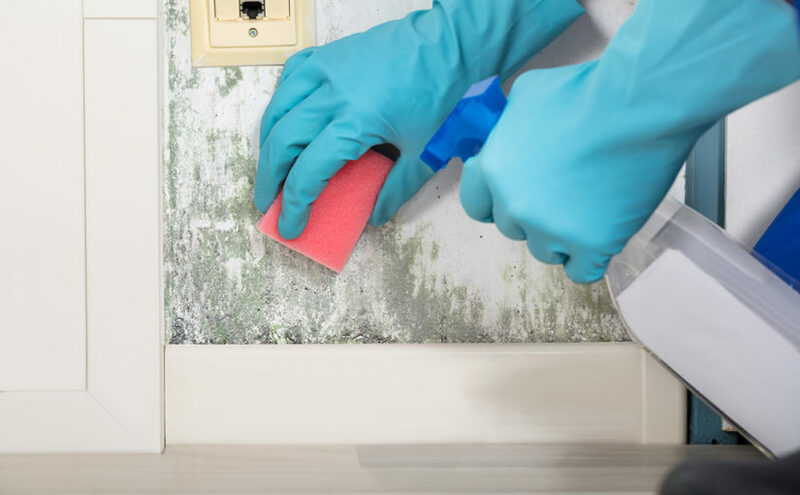 In addition to the potential dangers mold and its spores, improperly cleaning mold off walls in your home will likely allow it to come right back. Read our guide on cleaning mold off walls like concrete, brick and drywall to learn the safest solutions for removing these invasive growths. Before you tackle your mold problem, you’ll want to wear some protective gear to prevent illness. Not all mold is inherently dangerous, but identifying which type of mold you have is usually more difficult than simply looking at it. Inhaling mold spores can cause anything from simple allergic responses to severe sickness – for you or your pets. 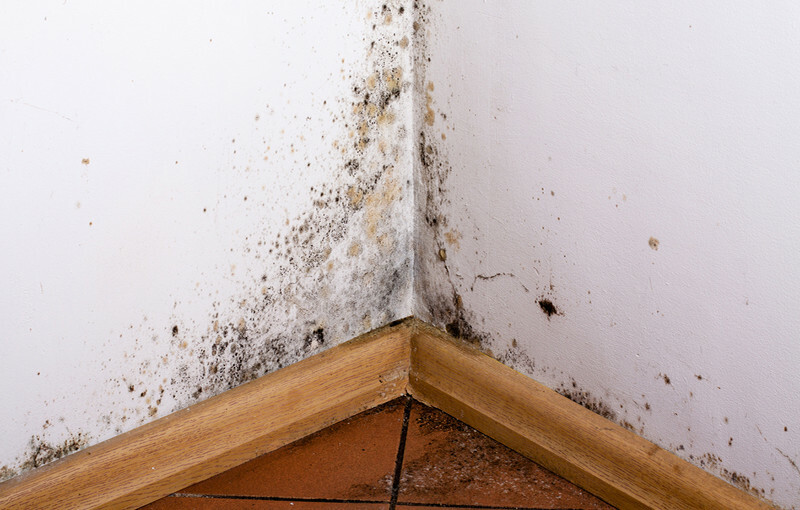 All of these will help you prevent unnecessary contact with your mold. 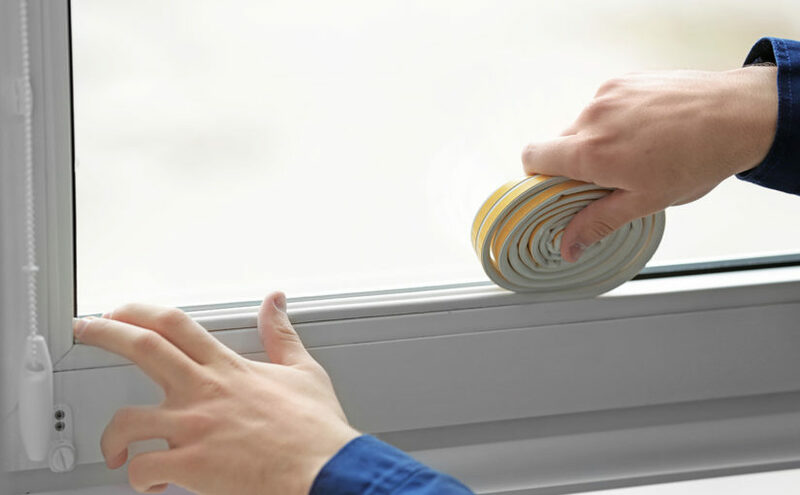 In addition to protective equipment, we recommend opening windows and improved ventilation as you will be working with chemical cleaners. If mold appears on concrete or brick walls, it’s very simple to clean it off, though it might be an indicator of a crack in your foundation. You will need to use a cleaning agent that is antimicrobial, which you can purchase at almost any hardware store or even make yourself. 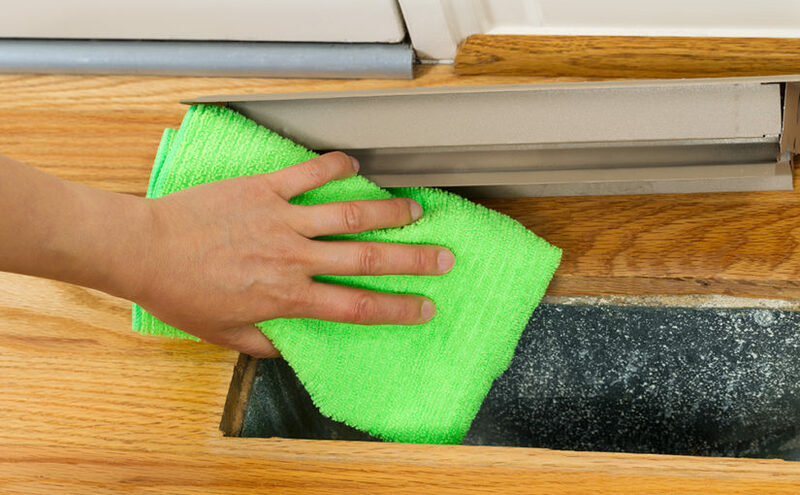 Once you’ve put on your protective equipment, simply scrub the moldy surface with the cleaner until it’s completely wiped away. Some specialized cleaners will have additional instructions – if you’re purchasing a cleaner from the store, make sure to follow its directions closely. One way to reduce your chances of dealing with moisture problems in your stone or brick basement is DuraShield. These panels create a barrier against moisture, insulating your basement walls and giving it a finished look with no maintenance required. 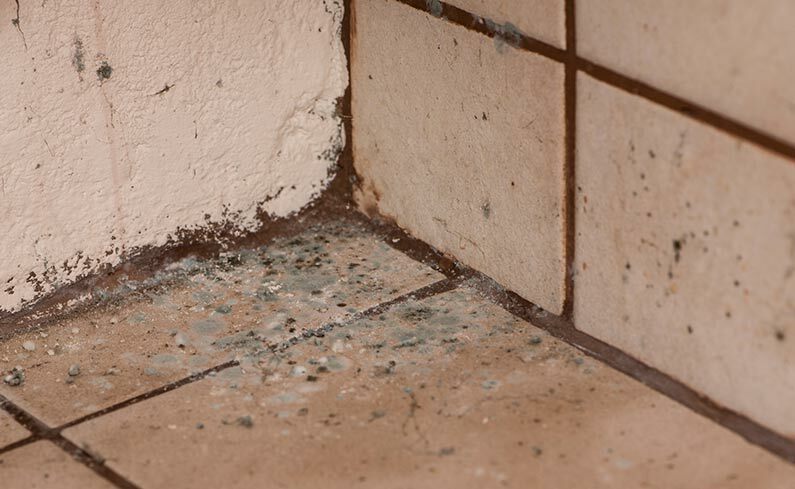 Mold is common in rooms that have a lot of moisture – like your bathroom or basement. Ideally, these rooms should be painted with water-resistant “wash-and-wear” type paint that will prevent mold from growing deeper than the surface. It also makes it easier to clean when you do spot growing mold. If you plan to use store-bought mold remover, make sure the formula is mild enough to minimize any damage to your paint. It’s possible, based on the severity of the mold, that you may have to repaint or even replace part of the wall. With the mold remover and a rag or towel, spray the affected area and scrub the mold. You may have to do this multiple times. Afterwards, spray water on the area and wipe it with a new towel or rag to clear the surface of any remaining mold remover. Unfortunately, it’s not so easy to clean mold off unsealed drywall. Drywall is porous, which means the mold may be visible on the surface, but it’s also growing inside the pores. Without water-resistant paint, it’s very likely that by the time you notice the mold, it’s already inside the drywall too. You can look for mold by cutting inspections holes into the drywall. Remove the insulation and use a mirror to inspect the other side of the drywall. If mold is growing on the insulation, it will need to be removed and replaced. Likewise, if you find that your drywall has mold beneath the surface, you will need to remove and replace it as well. Unless you’re trained in mold remediation, the most you can do is temporarily reduce the overall mold growth by using a mold removing cleaner and scrubbing the visible mold away. You will need to contact your local mold experts for an inspection to discover the full scope of your mold damage. Even if you clean away all the mold, if it still has a source and some mold remains, it will continue to grow back. Sometimes with porous surfaces, you will have trace amounts of mold that you can’t remove. If that’s the case, your only option may be mold encapsulation. To encapsulate mold, purchase a mold sealant and apply it to the mold after you’ve done everything to clean and scrub it away. This should be used as a last resort if the mold can’t be removed and the surface the mold is on cannot be replaced. If you think you need to do this, you should first contact a mold professional to make sure you don’t risk making the problem worse. It’s often surfaces like brick or wood that will require encapsulation. Non-porous surfaces, or those that can be easily replaced like drywall should never need to be encapsulated. If you only see a small amount of mold and don’t want to purchase a mold remover, you can also create your own mold removal solution from common household products. The most common solution is simply a mixture of ¼ cup of bleach with 2 cups of warm water. Pour this combination into a spray bottle and it functions similarly to a store-bought cleaner. After you clean away any visible mold, it’s critical that you backtrack and find the source. Without correcting the cause of the mold, it’s guaranteed to come back. 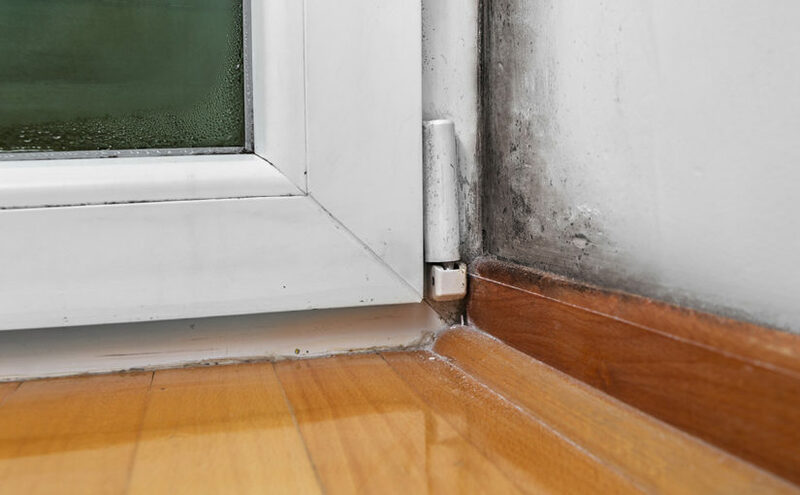 Mold is everywhere – it’s in the food we eat, the air we breathe, and on almost every surface we touch – and most types of mold are relatively harmless. But one particular type of mold, Toxic Black Mold, has been identified as a dangerous strain. Exposure to this variety of mold can lead to Toxic Mold Syndrome, a cluster of symptoms that affect mental as well as physical health. In rare, but extreme cases, Toxic Mold Syndrome has even been linked to death! Toxic Black Mold grows naturally in our environment, usually out of doors. But when conditions are right – dark, warm, and humid – it will thrive indoors because the cellulose contained in many building materials is an excellent source of food. Since Toxic Black Mold cleanup can dangerous and costly, it should only be done by professionals. However, with a few simple preventive measures, you can save yourself and your family a lot of headaches (both literally and figuratively). How Can You Prevent Toxic Mold Syndrome? Follow These 5 Tips! Check water pipes for leakage and sweating on a regular basis. Sweating pipes can be easily eliminated with an inexpensive insulation kit available at most hardware stores. If you’re remodeling rooms that need a water exchange, make sure that pipes are wrapped in insulation and that there is absolutely no leakage before the wall is sealed. Consider wrapping basement pipes, as well; sweaty basement pipes are easily overlooked, making them a frequent contributor to mold growth. If areas of your house tend to be humid – particularly in the basement – keep an eye on the humidity levels. 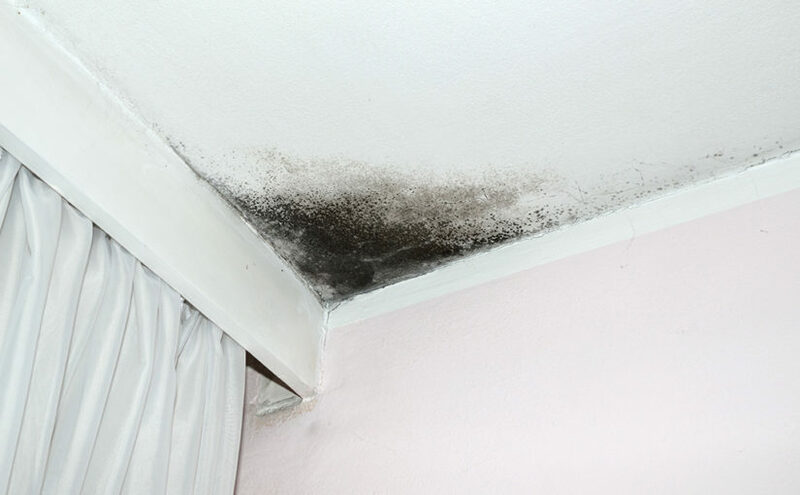 Mold likes to grow in humidity levels above 60%. If you don’t have a thermostat with a humidity gauge, you can purchase an inexpensive one for about $30. In rooms with high humidity levels, add a dehumidifier to help keep them comfortable and mold free. Check the attic on regular intervals, especially during the damp months. Although mold cannot eat attic insulation, it loves the backing attached to it. 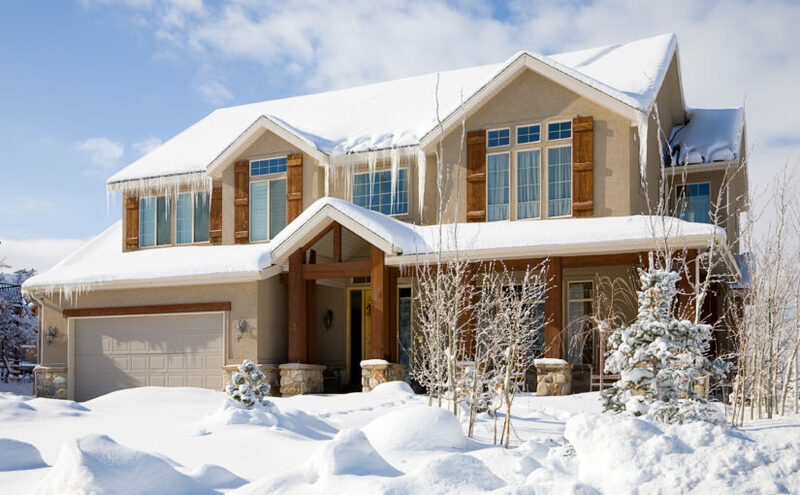 Check for signs of moisture and keep the air in the attic circulating to prevent mold from taking up residence. Use a flashlight to look for signs of moisture. If your attic seems more humid than it should be, install an attic fan. Look outside the house, too. Piles of leaves, trees and shrubs, and other landscaping around the home can harbor black mold. Check these areas on a regular basis and remove any accumulated organic debris. 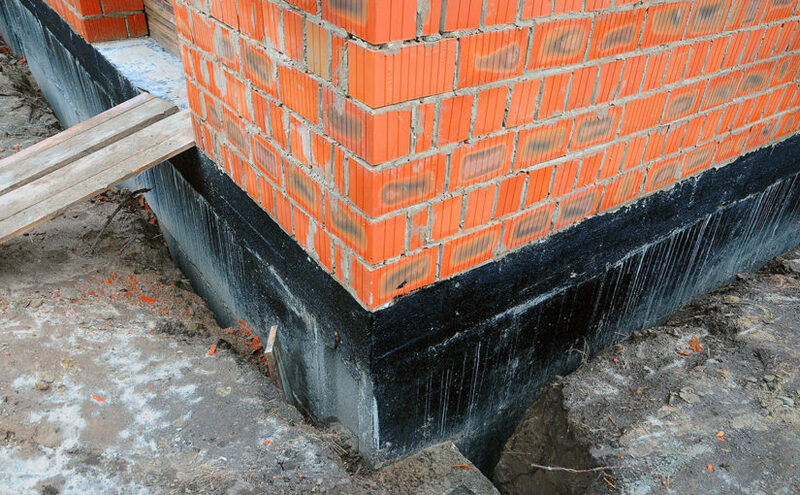 While you’re there, you can multitask and check your foundation for cracks and settling. After a bad storm or high winds, take out a pair of binoculars and scan your roof for loose shingles. When shingles become loose, it’s easy for moisture to get in and set the stage for mold growth. Repair any loose shingles as soon as possible. Concerned About Mold in Your House?